What size should I get? One of the hardest things about buying clothes online is trying to decide what size to order! Since Marleylilly and Monday Dress operate exclusively online, we decided to answer your most common questions regarding our size charts below! Q: What is a Flat Measurement? A: The measurement of a garment laid flat. Q. How do I know if a piece of clothing measured flat will fit me? A: The best way to figure out if a piece of clothing will fit is to measure a similar piece of clothing in your closet that fits well and compare the measurements. 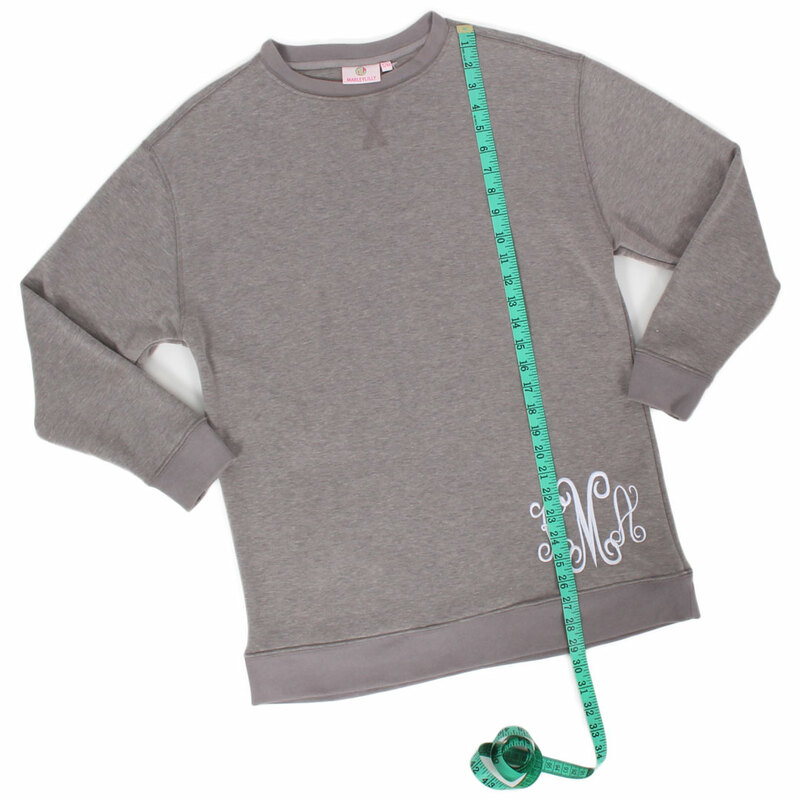 We recommend measuring your clothes with a cloth tape measure. If you don't have one of these, we would suggest using a piece of string and a ruler or yard stick. ***Keep in mind, size measurements may vary from garment to garment and manufacturer to manufacturer. The most common measurements for tops include the Bust, the Length, the Sleeve Length and the Arm Opening (for tanks). We receive the most questions about the bust measurement. 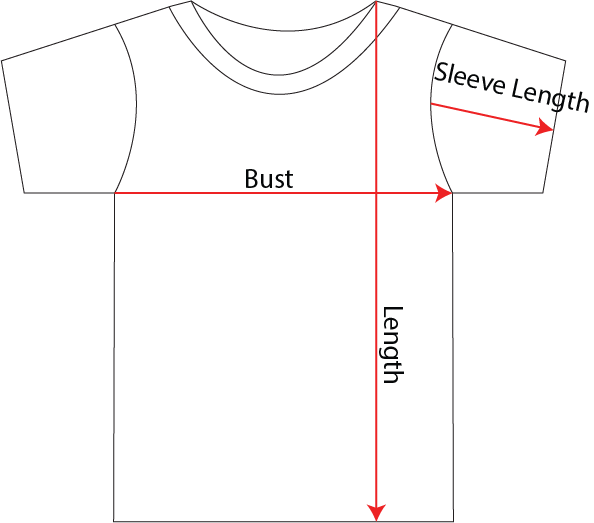 This measurement is taken from side seam to side seam directly under the armhole or sleeve. This measurement can be doubled to provide a full, relaxed bust. 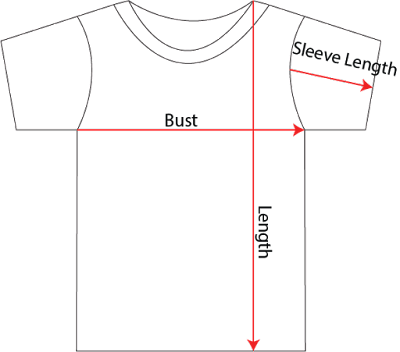 Length measurements are found by measuring the length of the garment from the top of the shoulder, at the collar, to the hemline as shown above. 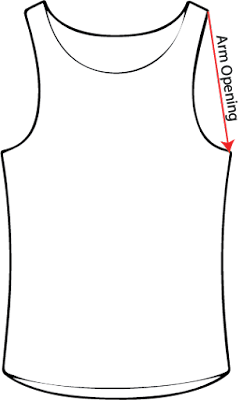 Our sleeve length measurements are taken by measuring the top of the shoulder seam to the cuff as shown above. Pictured below is how we get measurements for the Arm Opening. 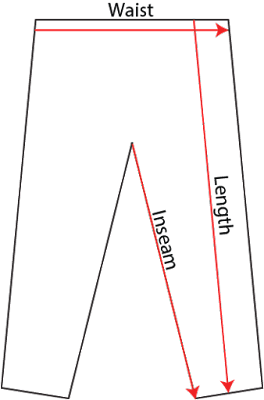 The most common measurements for bottoms include the Waist, the Length and the Inseam. 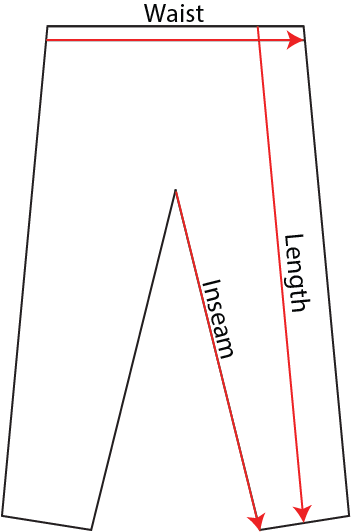 Pictured below is how we get measurements for the Waist, the Length and the Inseam. Have additional questions? Our customer service team is available to help! What size should I go with in your ballet flats if I am between sizes? Should you size up or down?